Matt on set with Diddy, Frank Vincent, Jesse Williams. 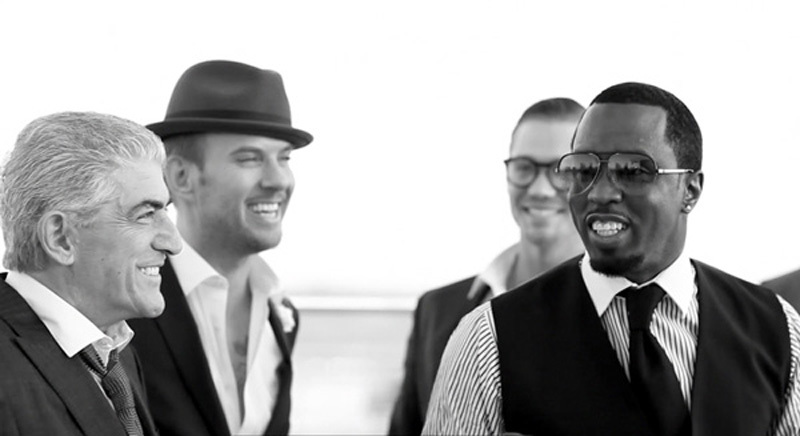 Matt Goss filmed a commercial in Las Vegas for Ciroc Vodka. Sean ‘Diddy’ Combs and Ciroc Ultra Premium Vodka have continued their partnership with the launch of a new campaign. Shot in Las Vegas and starring, alongside Diddy, the ‘Luck Be a Lady’ campaign aims to represent the future of Hollywood with a modern day Rat Pack. The ad features Frank Sinatra’s Luck Be a Lady as the soundtrack. The TV campaign appeared across ESPN, E!, Bravo, TBS, VH1 and Comedy Central. Naturally Matt is the most handsome man there. What a beauty!!! This is great commercial but I would have loved to hear Matt sing the song. Great commercial video, but like the short film one best as more of Matt in, made me laugh to see the end bit with all the girls around him, he looks good on film. Would be good to see him as a guest on a show of one of the actors in the shoot.